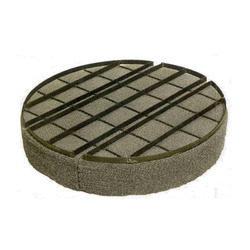 Coalescer Pad offered by us are applicable for effectual entrainment of liquids or mist removal in any liquid or gas. 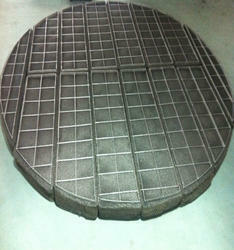 We fabricate Coalescer Pad from firmly knitted mesh grids of Stainless Steel. Clients can avail these Coalescer Pad in different sizes and specifications and they can be installed in any existing or new process vessel. Our company has achieved milestone for providing Copper Mesh Pad to the clients. This product is manufactured with the help of top grade metal and highly advance techniques keeping in mind the quality standards at vendor’s end. Offered range is strictly tested on various parameters under the observation of professionals. These are latest and excellent means of separating mist from vapour gas used mainly in fertilizer chemical and petro chemical industries. Material - Stainless-Steel, Polypropelene, G.I., COpper, Nylon, Aluminium & other metals.